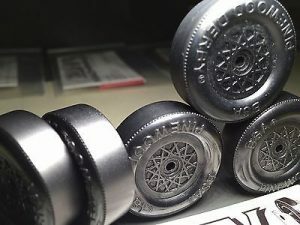 What is a Pinewood Derby Speed Wheel? Key to building a Champion Pinewood Derby car is using the best possible parts that you can find. If you build two exact identical car bodies, weigh them the same, use the same axles and techniques to tune them, and the only difference is that you changed wheels, speed wheels will win 100% of the time by car lengths. It is by far one of the most important parts in getting the most out of your pinewood derby car. 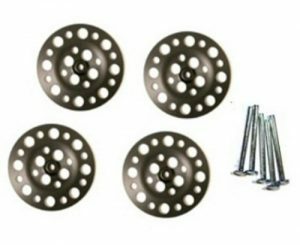 Are speed wheels different than what comes in my kit? All wheels are made by the same manufacturer. The only company that makes an official licensed wheel that is not made in the USA, is the Revell line of wheels. 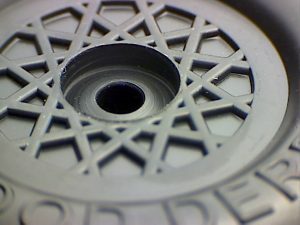 These are made overseas and each wheel will have a serial number (different than mold number) engraved on them. What makes a speed wheel different than factory wheel we will discuss in detail. 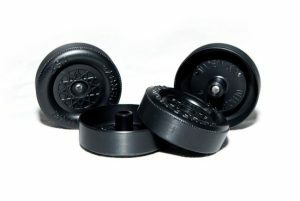 Wheel molds have changed over the years and the current wheel mold was first introduced in 2009. The more they are used, the less quality product is produced. In 2017/2018 season, we at Derby Dust noticed a significant DECREASE in quality. For 2018/2019 season we have thrown away all machined stock and have started fresh. Good or bad wheels will no longer be determined by mold numbers. Rather they will be determined by each wheel being hand spun to sort out the ones that wobble. We are noticing a 50-60% wobble rate. Its going to take 2 or even 3 sets of wheels to make 1 good set of speed wheels for this season. With this said, be aware that everyone is using the same wheels. And it is what it is. If you are expecting perfection, then go talk to the people who make the wheels for us to make things better.